Posted on January 23, 2015 | Comments Off on Why Detox? Detoxification, with its ancient medicinal and spiritual roots, has long been practiced in traditional societies as a way to physically, mentally and spiritually rejuvenate the body. Even though different forms of cleansing have been used for thousands of years, there seems to be some confusion and misunderstanding about the detoxification process. Some may wonder when and why detoxing is necessary, as the body’s own natural processes work 24/7 to remove waste byproducts that result from normal cellular functions. Is it enough to let the body handle unwanted material elimination on its own, or could the body use some help ridding itself of the constant bombardment of modern day pollutants? Toxins can be substances that have no nutritional value (junk food), or cause harm to the body (bacteria and viruses), or cost the body valuable resources to either rid them or store them in fat tissues (heavy metals). The body’s first line of defense is prevention. Our skin, perspiration, mucous membranes, immune system and even our digestive microbiota all serve as protective barriers to prevent unwelcome guests from entering our blood streams, while our respiratory tract eliminates toxins with every exhale. Our harmonious toxin removal system works full time to dispose of cellular waste or impurities, and to neutralize, transform or clear itself of unwanted toxins. Unfortunately, we are all exposed to a high number of synthetic chemicals on a constant and daily basis. External toxins may be found in food additives, pesticides, polluted air and water, antibiotics and hormones in the food supply, and chemicals in our homes, personal care items and cleaning supplies. Additionally, smoking, alcohol, recreational and pharmaceutical drugs, and quite possibly GMO foods all stress our detoxifying efficiency. Internal toxins such as bacteria, yeast or fungus and emotional toxins such as anger and jealousy all contribute to our toxic load. Our self-regulatory toxin removal system is specifically designed to purify the body and eliminate the toxic substances, such as lactic acid or carbon dioxide, that are generated by normal functioning. When all bodily organs are functioning properly, cellular waste is removed through the lymphatic system. Smaller particles travel to the liver, which cleanses impurities from the blood. The kidneys produce urine to flush away toxins and our bowels eliminate waste. When continually exposed to a steady diet of processed and junk foods, chemicals, and pollutants, toxins may begin to accumulate in connective tissues, blood, and bones in addition to fat tissues. This cumulative load can lead to health challenges, dysfunction and disease. Hormonal imbalance, impaired immune function, inefficient metabolism and nutritional deficiencies are all linked to toxic burden. Individuals metabolize toxins according to their genetic makeup and extent of exposure. How can you know if you would benefit from a detox? Although a buildup of toxins can produce different symptoms, signs may include fatigue, sluggish elimination, indigestion, allergies, lack of concentration, insomnia, headaches, weight loss difficulties and muscle or joint pain. 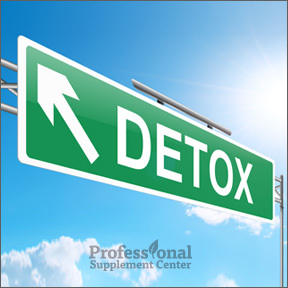 Although our bodies are well designed to eliminate toxins, the purpose of a detox program is to provide support to help the body cleanse itself of impurities and give our organs of elimination a much needed rest from chemical contamination. By eliminating or reducing your exposure to pollutants, chemicals, preservatives, heavy metals and pesticides, you may decrease your risk of developing chronic or neurological diseases or cancers. Among other benefits, you may find you have increased energy, clarity and concentration, better digestion, improved sleep, reduced cravings, a strengthened immune system, easier weight loss, rejuvenated organ function, reduced joint or muscle pain, and an overall feeling of renewed health and wellness. There are many helpful detox programs and cleanses that work with a short-term detox diet to aid the body in removing environmental and dietary toxins. Try the following for 10 days to reset and balance your body. Minimize the consumption of chemicals, pesticides, hormones and antibiotics by eating clean organic, whole foods. Eliminate junk, processed and packaged foods, refined grains, added sugars, caffeine and alcohol. Substitute natural alternatives for chemically laden personal care and household cleaning products. Place an emphasis on vegetables and fruits that provide vitamins, minerals, phytonutrients and antioxidants to refuel and support the body during detoxification. Include high fiber foods that promote elimination through the digestive tract. Drink plenty of water throughout the day to hydrate and aid toxin elimination through urination. Start with breakfast and have protein and healthy fats at every meal to keep you full and keep blood sugar and insulin levels stable. Find simple and effective ways to relieve stress to reduce your cortisol levels. Deep breathing not only reduces stress, it allows more oxygen to circulate throughout your system. Exercise is a great stress reliever and helps to purge toxins through perspiration. Make healthy lifestyle choices. If you smoke, don’t. Don’t drink alcohol or caffeinated beverages while detoxing and be sure to get sufficient rest. Supplement with a high quality formula that includes multivitamins and minerals. Total Body Rapid Detox by Advanced Naturals – This 3-part kit provides herbals, amino acids and organic soluble and insoluble fiber in support of a fast, simple and effective 7-day, deep-acting, total body detoxing and cleansing. Gluten and soy free formula. 10-Day BioDetox Kit Pea Protein by Biotics Research – This all inclusive kit supports all 3 stages of the detoxification process including decreasing inflammation, metabolic cleansing and regeneration and repair. Individual packets of botanicals, antioxidants, digestive enzymes, minerals, plus a shaker cup for the protein isolate, make this a very easy-to-use support program. Also available with whey protein. Detox Nutrients Packet (PK103) by Thorne Research – These on-the-go single serve packets offer a simple and effective way to ensure your body’s detoxification system has the nutrients it needs for optimal function, including liver cleansing herbs, antioxidants, amino acids and fiber. Gluten, dairy and yeast free, Non-GMO formula. This entry was posted in Home and tagged 10-Day BioDetox Kit Pea Protein by Biotics Research, Detox, Detox Nutrients Packet (PK103) by Thorne Research, Professional Supplement Center, Total Body Rapid Detox by Advanced Naturals, Vitamins and supplements, www.professionalsupplementcenter.com. Bookmark the permalink.